My friend Jasmin S. Kuehnert, a cat lover like myself, sent me this video of Henri, a very French kitty. The music—most appropriate for this video– is by Erik Satie, who left the Paris Conservatory—his teachers called his piano playing worthless-— to play in the more accepting milieu of piano bars such as Le Chat Noir in belle époque Paris of the late 19th and early 20th century. The music is from his most famous work, the Gymnopédies (gymnasts) of 1888. Debussy gave Satie’s career a boost when he later orchestrated these pieces. The 3 gymnopedies became well known in the U.S. in the 1960s, when Aldo Ciccolini recorded them for EMI/Angel. Henri le chat has complexes worthy of Sartre’s character in his first major work, La Nausée (nausea). Satie, for his part, was a real character: preferring smoky bars to concert halls, night life to a busy concert schedule, and was called “The Velvet Gentleman” because he had 22 velvet umbrellas and a whole wardrobe of velvet outfits. He lived in the Montmartre of Toulouse Lautrec, and called his compositions all sorts of crazy names (cold cuts, pieces in the form of a pear). In his ballet score for Parade, he used a typewriter. Tutti Camerata, a studio arranger, once recorded a great album of Satie’s works called The Velvet Gentleman in the 1960s which came out on the Deram label from the UK. Satie preferred to be called a “phonometriste” rather than a pianist. 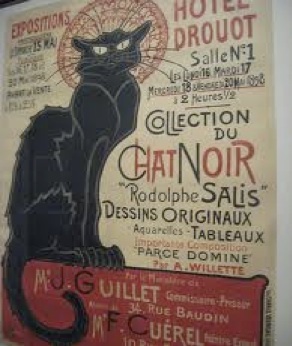 Henri, the anguished black cat in the video, might even echo Satie’s unrequited love for Suzanne Valadon, an artist’s model and artist whom he fell in love with. He proposed marriage after their first date, but was rebuffed. She moved into the room next his on Rue Cortot. Having her so near physically but so far away romantically tortured Satie. When she moved out after six months, Satie wrote that he was left “with nothing but an icy loneliness that fills the head with emptiness and the heart with sadness”. Apparently this one night of romantic ecstasy was the only intimate relationship Satie ever had. So perhaps Henri the cat and Satie have more in common than we thought. No wonder Satie’s music provides the musical backdrop to the story of Henri le chat noir and his existential angst. While catching up on my backlog of newspaper and magazine articles, my eyes caught sight of this headline in this piece from April 2, 2012 in the NYT: ”New Zealand Casts Itself as Destination for International Students.”. It seems that our friends in the island country in the south Pacific have a great plan to attract and retain international students. 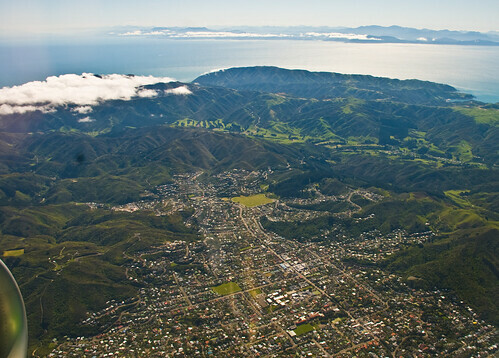 While we here in the U.S. tighten our borders, implement stringent visa requirements for international students, increase tuition fees, and put more pressure on our college administrators to become part of the bureaucracy known as SEVIS Student and Exchange Visitor Information System (SEVIS), our counterparts in New Zealand are doing the exact opposite. In fact, the government in New Zealand has embarked on a strategy of reducing tuition fees for international students, and making it easier for students from countries like India and China to apply for visas. Their immigration department has opened offices in India, China and Hong Kong that serve as application centers to help students applying for visas. They are even, as stated in the NYT article “enticing students to stay on after they graduate by offering a one-year graduate job search visa. If the student finds a job relevant to their qualification, they are then eligible to apply for a graduate work experience visa for up to three years.” Given these perks, why would anyone in their right mind turn down an offer for a hassle-free student visa application, lower tuition and the prospect of employment after graduation? Not to mention, with a population of about 4.4 million, and blessed with spectacular natural beauty, New Zealand is an ideal place to seek serenity and a peace of mind. Just this morning, on my way to work, I heard on the radio news of two international students from China who were shot dead in their car while parked outside the campus of a well-known private university here in Los Angeles. This is, according to LAPD, the fourth such shooting in this particular area. In the words of a second year international student from Vietnam studying for her bachelor’s degree in commerce and administration at Victoria University of Wellington, New Zealand is not only cheaper “than Switzerland” but the country has “less people…it’s quiet and peaceful…its affordable.” Heck, if I were an international student, I’d pick New Zealand over Britain, Australia and the U.S. in a heart-beat. 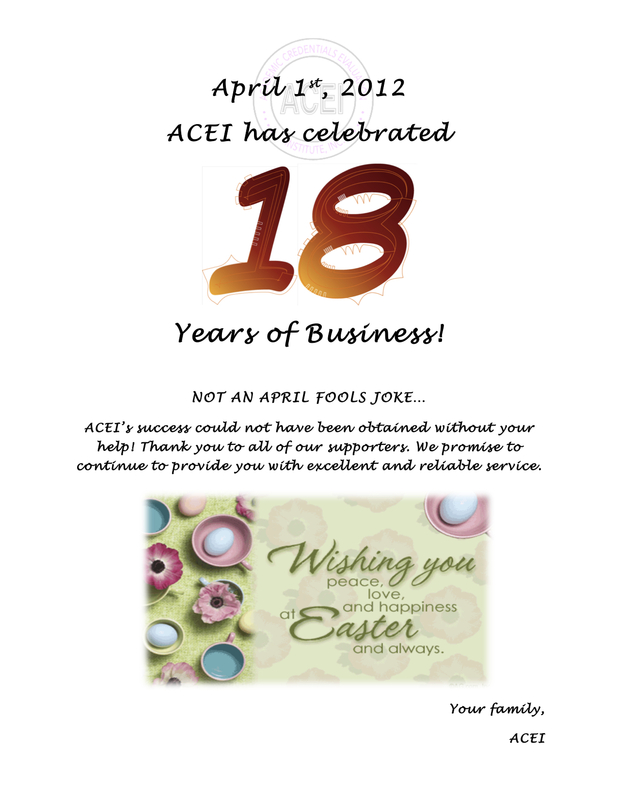 Celebrating 18 Years of Business!